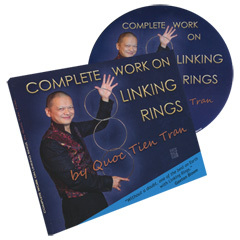 In this DVD, Tien Tran Quoc invites you to a comprehensive overview of the Chinese Linking Rings. Everything is covered: various conditions (close up, living scene), varying number of rings, different ring sizes. In addition, smart tips will help you choose or even compose the routine of your dreams.